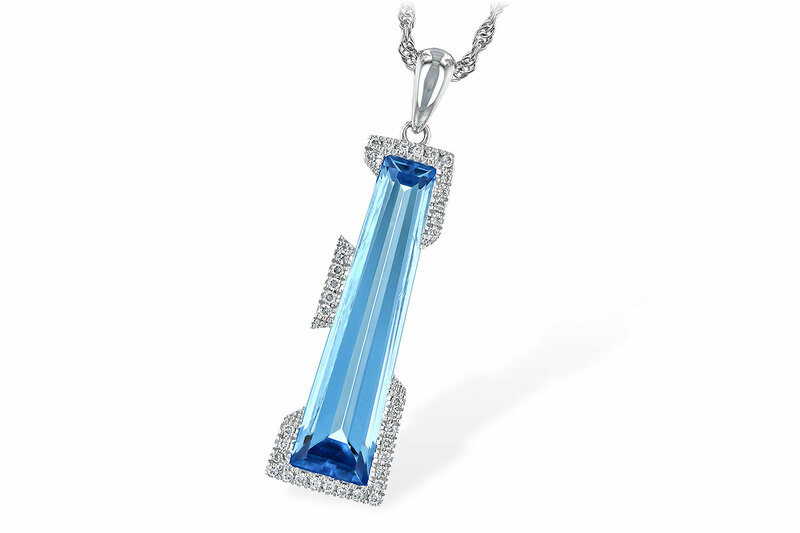 A beautiful pendant with Blue Topaz, accented by colorless Diamonds. 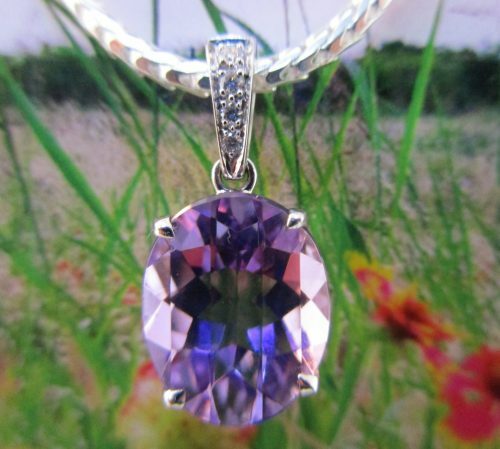 The pendant is made of 14k white gold. 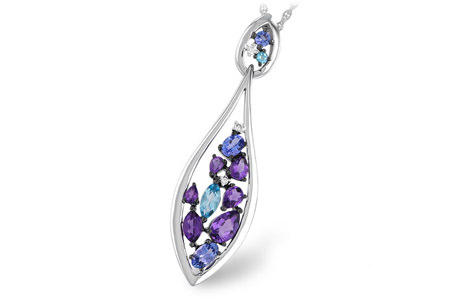 The cool blue and the flowing design remind us of our local waterfalls. 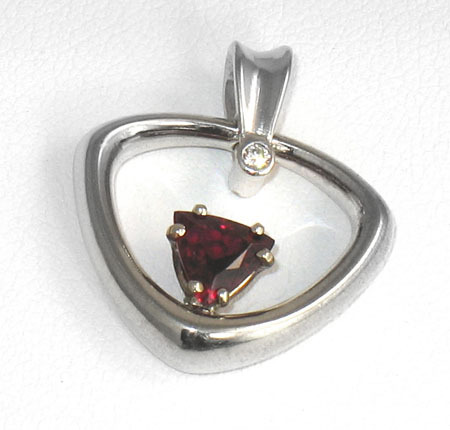 The pendant comes with an 18 inch rope chain with a lobster clasp. 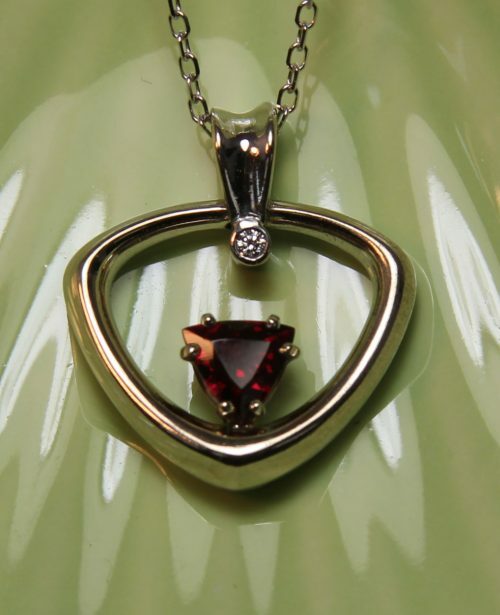 This item is not currently in our store but is available by special order.